Taken from a no-doors helicopter... 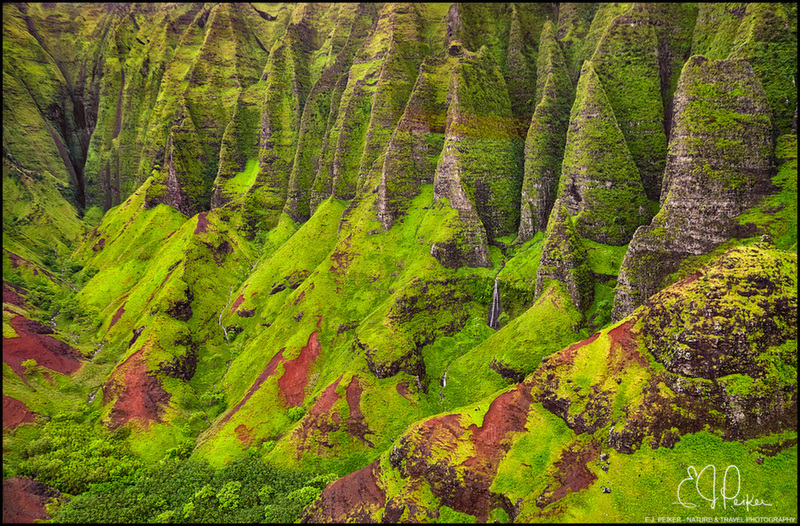 The Napali coast, one of the most spectacular places for aerial photography that I have experienced and continue to go back to whenever I get a chance. Wow! The colors and formations are fantastic! Love it. Absolutely love this - colors, patterns, depth, and lots of places for the eye to travel.